Edward VIII (Edward Albert Christian George Andrew Patrick David; later the Duke of Windsor; 23 June 1894 – 28 May 1972) was King of the United Kingdom and theDominions of the British Commonwealth, and Emperor of India, from 20 January 1936 until his abdication on 11 December 1936. 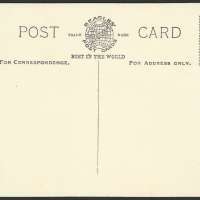 Edward was the eldest son of King George V and Queen Mary. He was created Prince of Wales on his sixteenth birthday, nine weeks after his father (who had been the previous Prince of Wales) succeeded his own father Edward VII as king. As a young man, he served in the British Armed Forces during the First World War and undertook several foreign tours on behalf of his father. Edward became king when his father died in early 1936. He showed impatience with court protocol, and politicians were concerned by his apparent disregard for established constitutional conventions. Only months into his reign, he caused aconstitutional crisis by proposing marriage to the American socialite Wallis Simpson, who had divorced her first husband and was seeking a divorce from her second. The prime ministers of the United Kingdom and the Dominions opposed the marriage, arguing that the people would never accept a divorced woman with two living ex-husbands as queen. Additionally, such a marriage would have conflicted with Edward's status as the titular head of the Church of England, which opposed the remarriage of divorced people if their former spouses were still alive. Edward knew that the government led by prime minister Stanley Baldwin would resign if the marriage went ahead, which could have forced a general election and would ruin his status as a politically neutral constitutional monarch. Choosing not to end his relationship with Simpson, Edward abdicated. He was succeeded by his younger brother Albert, who chose the regnal name George VI. With a reign of 326 days, Edward was one of the shortest-reigning monarchs in British and Commonwealth history. 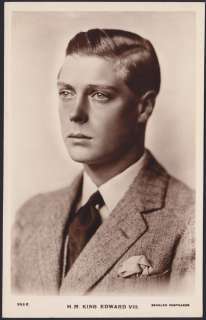 After his abdication, he was created Duke of Windsor. He married Simpson in France on 3 June 1937, after her second divorce became final. Later that year, the couple toured Germany. During the Second World War, he was at first stationed with theBritish Military Mission to France but, after private accusations that he held Nazisympathies, he was assigned to the Bahamas as the islands' Governor. After the war, he was never given another official appointment and spent the remainder of his life in retirement in France.